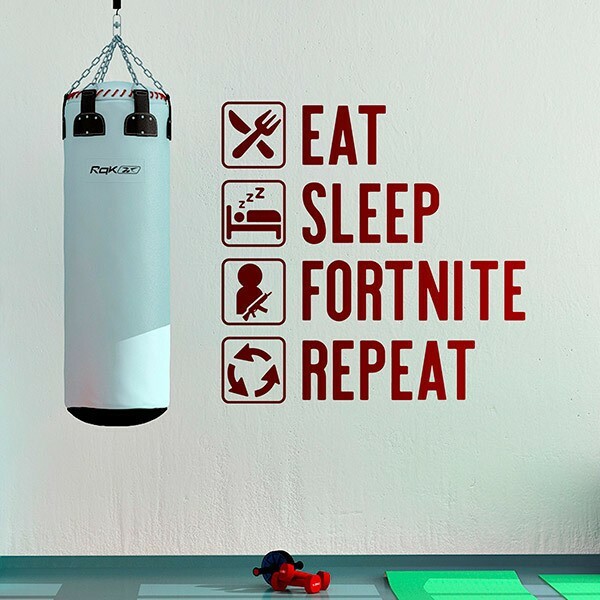 Wall sticker Routine Fortnite, in english. 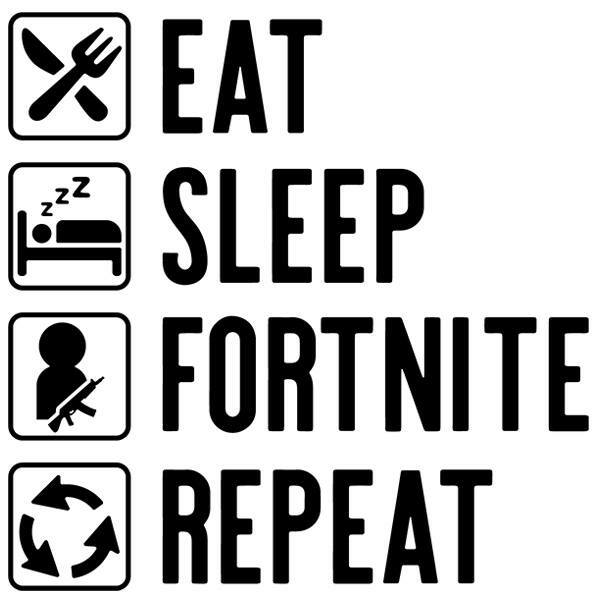 Funny design of various icons to follow the routine of the perfect Fortnite player. Eat, sleep, play Fortnite and repeat the sequence, so on until the end of time. Show that you are a fan of this amazing video game.